It’s that time of year again. When the accelerometers run cold, the gyroscopes start changing colors and float gently to the ground, and the magnetometers tuck themselves in for the long winter ahead. Yes, it’s time for our annual MEMS Executive Congress run down. With a little help from Fish Fry field reporter Larra Morris, we have the scoop on the coolest technologies featured at this year’s MEMS Executive Congress MEMS and Sensor Technology Showcase. 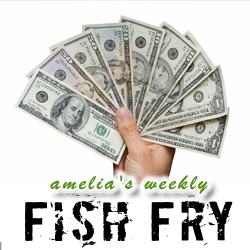 From smart baby monitors to the newest in anisotropic magneto-resistive (AMR) sensor technology to the new (and super cool) Bosch eBike, this week’s Fish Fry has a little bit of MEMS action for everyone. Also this week, we check out the details of On Semiconductor’s new MatrixCam Video Development Kit.